You may not have considered Bikepacking Travel Insurance but, if you are planning a holiday on your cycle touring around the countryside, you may not be covered under your travel insurance unless it is specifically mentioned as an included activity or you have paid an extra premium. Like any other activity on a holiday, it is really important that you make certain you are properly covered for cycling on your holiday. If you are unfortunate enough to have an accident, a fall, or other incident whilst riding you will want to make sure that you can find and pay for the appropriate medical attention. In case of serious injury this would also include insuring you for the cost of being repatriated to the UK. Do read through all the terms and conditions carefully (remember you have a cooling off period of 14 days with any insurance policy if you find you are not happy with the cover) - as some policies will not cover cycling at all, some will cover the use of bikes as a day's activity, whilst others will cover mountain biking though not competitively. But, if you are cycling as the main purpose of your holiday, then this is where bikepacking or cycle touring insurance could be important. JS Travel Insurance are experts in discovering great cover for specialist areas - and they love adventure sports in particular. They are brokers and tend to have a wider range of policies available than if you were to approach an insurer directly. JS Travel insurance will cover you for leisure cycling as standard but for an additional premium you can upgrade to cover cycle touring. With their Superior cover, medical expenses are covered up to $10m which includes repatriation if necessary. They will cover a maximum of 45 days on an annual policy so may be ideal for those looking at just a few weeks of cycling. SportsCover Direct are a renowned specialist sports insurer who provide comprehensive cover for either a single day or annual multi trip holidays worldwide. They cover a really wide range of sports including Cycle Touring. Just enter the activity at the top of their form to run a quote on their site. 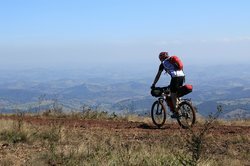 They will cover cycle touring as long as it is not competitive or part of an event for up to 90 days per trip. Their insurance does cover sports equipment - cost of replacement hire, the bike itself and/or cost of repairs - although there are stipulations on the quality of bicycle locks required. Please read the terms and conditions carefully. The company also offer 'ActivityTopUp' - which means this cover can be used alongside another company's standard annual travel policy so you do not need to duplicate your full travel insurance cover. Whereas many insurance policies - particularly when it comes to sports - set an age limit, Goodtogo specialise in providing travel insurance with no age limits. They also cover all types of pre-existing medical conditions. Travelling companions can also be covered under the same policy meaning that, should you need to cut the holiday short, you will all be covered. Add cycle touring as an activity to your travel insurance with Goodtogo and for an additional premium you can be covered for up to £10m in medical and repatriation expenses. Their policies will cover you for up to 31 days on an annual policy and 94 days on a single trip policy.